The Rice Lake 320IS provides basic weighing functions while addressing the specific voltage and regulatory requirements for explosive environments. The five-key operation is very user friendly. Use with either AC or DC power supply, both intrinsically safe. 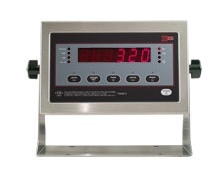 The Rice Lake Weighing 320IS intrinsically safe digital weight indicator provides basic weighing functions while addressing the specific voltage and regulatory requirements for explosive environments. The five-key operation is very user friendly. To interface with peripherals like printers or PC's, install an optional I/O module outside the hazardous area. Use with either AC or DC power supply, both intrinsically safe. See the 320IS spec page (pdf file) for additional information. Rice Lake Weighing Systems® warrants that all Rice Lake Weighing Systems Intrinsically Safe (IS) equipment and systems installed by a distributor or Original Equipment Manufacturer (OEM) will operate per written specifications as confirmed by the Distributor/OEM and accepted by Rice Lake Weighing Systems. 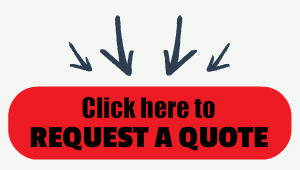 All systems and components are warranted against defects in materials and workmanship for one year. All Rice Lake Weighing Systems Intrinsically Safe equipment carries a Factory Mutual approval and is documented on various control drawings. Each device is manufactured Rice Lake Weighing Systems factory authorized personnel. To preserve the warranty and Factory Mutual approval, all repairs or replacement of circuit boards or components housed within the enclosures must be performed by Rice Lake Weighing Systems factory authorized personnel.